The Big Push for Darts in Canada! One of the original PlayDarts.ca sponsored players has now arrived on the world scene, representing Canada in the PDC World Cup of Darts, being held in Germany. 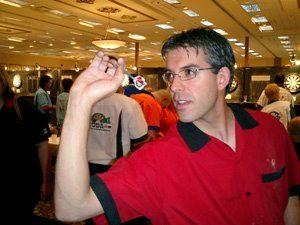 Jeff Smith, former Canadian National Champion, and current PDC Tour Card Holder, joins with John Part to represent Canada. 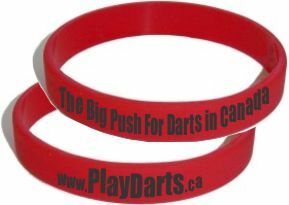 We're happy to announce: PlayDarts.ca wristbands have arrived! We have the original Classic Red wristbands as well as a special limited stock Jeff Smith PDC 2013 wristband. Canadians Claim the World Record! Paul O'Shaugnessey and Lenny McNevin did Canada proud this past weekend as they claimed the Guinness World Record for longest darts marathon singles match. We followed these 2 gents for the past couple of months and want to say a big Thanks to the boys for all the work you've done raising the profile of darts in this country in such a positive way. Our message board is alive and ready to become the premier online hotspot for dart enthusiasts from Coast to Coast! We'll be adding topics regularly and if you don't see one that you think should be up there, let us know about it and we'll be happy to add it in. PlayDarts.ca is making FREE websites and stats service available to any dart league in Canada! Through our unique partnership with YourLeagueStats.com (a related Canadian company) your league can now have this World-Class software FREE forever! 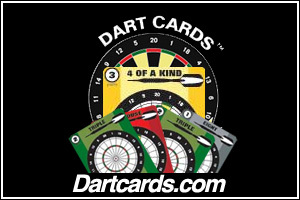 Buy a DartMaster 3: Get a Great Price and Support PlayDarts.ca. Great Practice Aid. Renew Your Love of The Game. 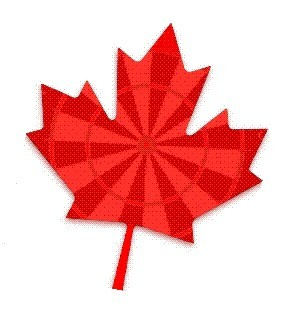 Show You Supports Darts In Canada. August 16, 2010 - We've got some exciting programs we'll be rolling out to Canadian darters this fall to launch our program of building darts at the grassroots level. We're putting the final touches on some of them right now, and expect some great feedback once we unveil them. 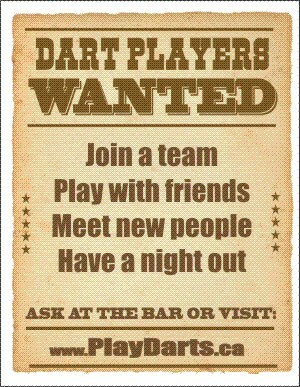 As always, we'll be relying on dart players across the country to jump in and help out! This is a group effort, and we're all part of the solution. If you want to help, look for the link at the top "Support Us". There are many ways to help. Copyright© Playdarts.ca. All Rights Reserved. Reproduction of this website and its contents, in part or in whole, is strictly forbidden and protected by copyright.